AquaTec Coatings works in partnership with co2balance.com to achieve Carbon Zero status. CarbonZero status is achieved by increasing energy efficiency, switching to renewable energy sources and by offsetting unavoidable carbon dioxide emissions through one of co2balance’s offset projects. AquaTec Coatings has been working with co2balance.com to help offset our carbon dioxide and therefore remove our contribution to global climate change. Going CarbonZero demonstrates our environmental credentials in the fact that we have taken decisive action to offset the climate impact of our business. Carbon dioxide is the prime agent of climate change (global warming). 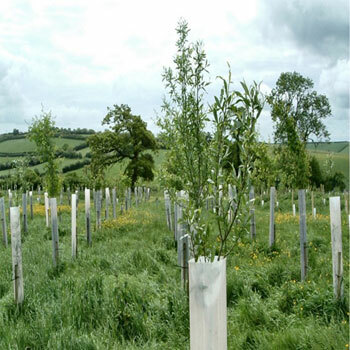 Planting trees is an efficient way of ‘sequestrating’ carbon dioxide, i.e. removing it from the atmosphere and locking it into the timber. AquaTec Coatings is offsetting its carbon dioxide emission though a tree planting program developed and implemented by co2balance.com. This scheme involves careful calculation by co2balance.com to determine the level of carbon dioxide emissions produced through our day to day activities such as power consumption, heating and travel. This level of carbon dioxide is offset by planting trees at ‘Bishops Wood’ woodland near Morchard Bishop in Devon. 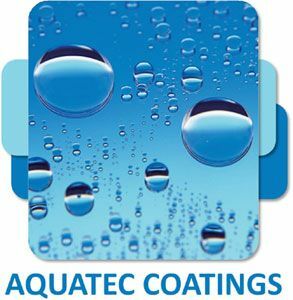 AquaTec Coatings recognises that its operations have an effect on the local, regional and global environment. View our environmental credentials.